Originally conceived from the fall-out of a structurally damaging seaside storm more than two decades ago, Professional Builder finds out what is next for Checkatrade. Who are Checkatrade and what do you do? We are the original online trade directory set up to connect tradespeople with consumers. We allow trades to become members of our platform where they can advertise their business to 1.4million unique users a month. Consumers can search through our database of 32,000+ members to find the perfect match for them – whether that be a plumber in Stockport or a roofer in Portsmouth. With various high-profile sponsorships and ongoing prime time TV exposure, there can’t be many tradespeople out there who aren’t aware of the Checkatrade brand but, like us, they will probably be surprised to know that the business was actually started more than 20 years ago. What was the background to that decision in 1998? Over the same period we have seen a proliferation of similar trade-based schemes launched, all promising great benefits for both the consumer and the tradesperson, but most have fallen by the wayside. Why has Checkatrade continued so successfully to retain and attract new members especially during the periods of economic turmoil? We view Checkatrade as a partnership between ourselves and the tradespeople who use us. We invest heavily in marketing to ensure we remain the number one consumer choice; tradespeople on our site now benefit from 1.4million consumer searches each month. There is also our unique Members Area which comprises a range of partnerships we have created with a number of highly recognised vendors to ensure our members get cheaper deals and discounts. Over the years, our vetting requirements have been improved and adapted to keep up with government legislation and current laws as well to keep up with our own high standards. Our consumer review system remains a great way of ensuring tradespeople continue to uphold the high standard of work which is affiliated with Checkatrade membership. With the ongoing and continued support from our Membership Advice Team, who are incredibly passionate about helping our members to be successful, we are able to provide advice on how to maximise your membership – ensuring you continue to benefit whether you’re new or have been with us for 20 years. As every customer is different, and each job unique, only the customer will know what they are looking for. Our review system highlights how each business has performed in common areas of consideration such as time keeping or value for money. Our member forums allow tradespeople to communicate with each other, share common issues and resolutions. It is also not uncommon for us to find tradespeople often refer each other if the job isn’t quite right for them. Where do you stand in respect to calls for a national licensing scheme for registered tradespeople. One assumes it would impact on your business, but successive governments seem to lose interest when it comes to long term investment. Is membership of a body like Checkatrade a sensible compromise? Checkatrade membership not only protects consumers but helps to keep work in the hands of reputable traders, whilst helping to grow their business at the same time. Our vetting process has proven over the years to be the most significant way of stamping out rogue traders; a process which ensures businesses are qualified and full covered to provide the work they promise. Twenty years is clearly a cause for celebration but what does the immediate future hold for Checkatrade in what are distinctly uncertain times for everyone? 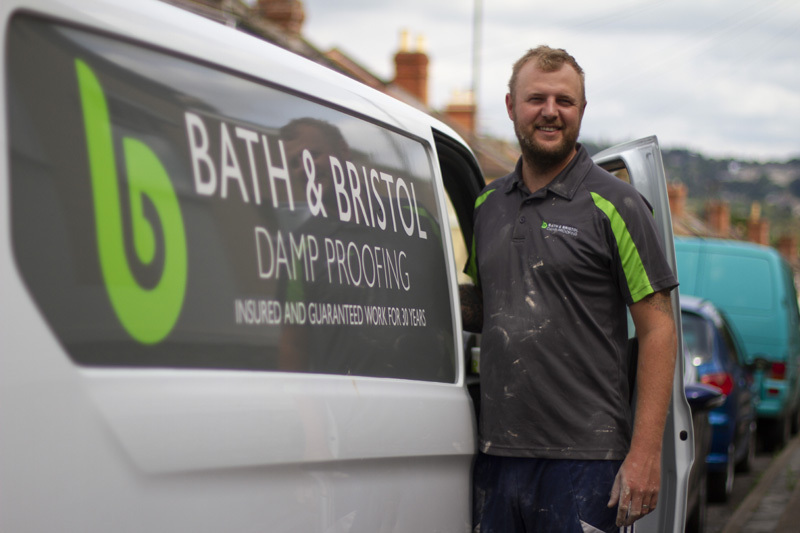 Working in the same manner, which has led to a successful first 20 years, we will continue to put our customers first and lead the industry in providing the best possible service for customers and tradespeople alike. As for the immediate future, we are always looking for ways to develop our systems to ensure the most efficient service possible. We are currently testing an innovative service which will allow consumers to be connected with a tradesperson within five minutes – providing a new line of work for our members as well as connecting consumers with trusted tradespeople for emergency work. We know many of our tradespeople run small businesses, which is why we’re also working with our partner company, Habitassimo, to provide a range of business admin software. This software can help our members with day-to-day business needs; such as creating and sending invoices, scheduling jobs and manage customer data safely.